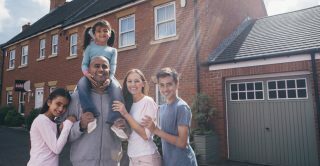 Understanding Society, the ‘UK Household Longitudinal Study’, has been awarded an additional round of funding from the Economic and Social Research Council (ESRC). This new grant will support Wave 12 of Understanding Society and provide further longitudinal data for researchers and policymakers. Building on the British Household Panel Survey, which ran from 1991 until 2008, Understanding Society started in 2009. The Study has now released 24 ‘waves’ of data for research with annual information on a range of social, economic, behavioural and health factors. A further four waves of data are currently being collected and processed. This new award from the ESRC will further extend that work. By the time Wave 12 of Understanding Society is completed, researchers will have 29 waves of household data available to use. Each wave of the Study takes two years to collect, but each household is interviewed annually. Survey responses are gathered through a combination of interviewers visiting the households that take part or households completing their survey online. The collected data are then cleaned and processed by the Understanding Society team at the Institute for Social and Economic Research. The data are deposited and made available via the UK Data Service. Understanding Society is based at the Institute for Social and Economic Research, University of Essex, and the fieldwork for the Study is provided by Kantar Public and NatCen Social Research. What types of data does Understanding Society collect? The survey covers everyone in a household, from children to adults, allowing researchers to understand the experiences of the whole population. The ethnic minority sampleallows the experiences of specific ethnic minority groups to be investigated. The biomarkers and genetic datais collected by nurses to measure people’s health enable researchers to understand the relationship between social and economic circumstances and health. Study data can be linked(with consent) to administrative records from other sources, building a richer picture of households.